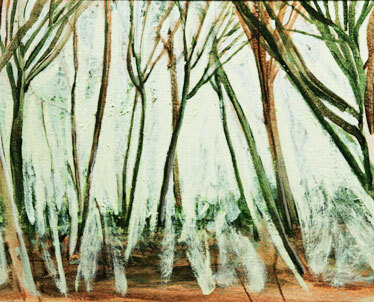 "From Forest Clearing" by Noreen Naughton is one of the paintings in the artist's series about trees. Naughton shows her work with husband, Paul Nash, a ceramist, at Gallery Iolani through Oct. 5. Noreen Naughton and Paul Nash share a number of commonalities: they're both artists and teachers. She is recently retired from Kapiolani Community College; he is on staff at Windward Community College. Also, they happen to be married. The couple is currently showing their work together at Windward's Gallery Iolani, in a dynamic mix of Nash's ceramics and Naughtons oils and acrylics. Gallery director Toni Martin calls the work of both artists "strong and elegant. "Their works are very different from each other, but they work well together," Martin says. 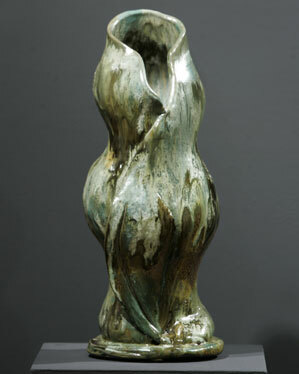 "Paul's ceramics are rather earthy, and Noreen has painted four series, on windows, the ocean, trees and light. So both of them are dealing with things of nature." The gallery is filled with about 60 paintings and some two dozen ceramic pieces, which play with spherical shapes and bone-like abstractions and reflect ceramics' important role within world civilizations. Gallery Iolani, located on the Windward Community College campus, is open 1 to 5 p.m. Sundays and Tuesdays to Fridays. The gallery is closed Saturdays and Mondays. Call 236-9155 for more information. 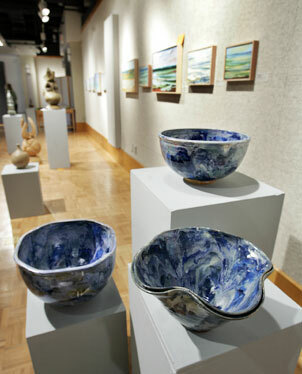 A shot of the gallery, with a series of stoneware bowls by Nash in the foreground. 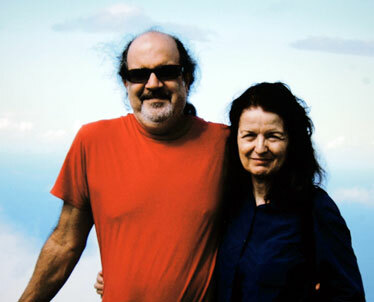 Nash and Naughton in an informal portrait. 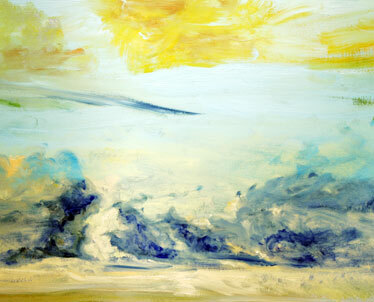 In "Sunset Abstraction," is a piece from Naughton's "light" series. Other series in the show include works on windows and the ocean's edge.